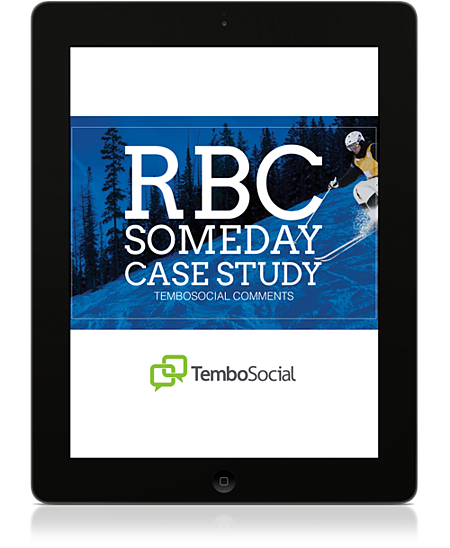 Since RBC employees were excluded from the public contest, the Brand Marketing group approached TemboSocial to create a space where employees could share their “Somedays” on the company intranet and where they too could enter to win daily prizes. The campaign goal was to capture the Olympic spirit visually and experientially. RBC set out to create an active community using TemboSocial Comments where employees would share their own Someday hopes and dreams and connect with co-workers from across the country.